I received a gift card to Barnes and Noble for Christmas and I hadn’t made it to the bookstore yet to invest in some new mind feeding materials. Most of my book purchases the past year had been in the personal development type category. I have been neglecting the imagination side of reading lately and really just wanted to get some supernatural vampire/werewolf type trash to feed my soul with some creativity. The more practical side of my brain told me I needed to get at least one personal improvement book and then I could blow the rest on some supernatural trash. I went to my amazon book wishlist and picked a few I was interested in wrote it on a sticky note and headed to the store. One thing I absolutely can’t stand about the bookstores nowadays is that it seems like the selection is limited and you never know if you’ll be ablet to find what you want. I was disappointed that none of the books on my sticky note where anywhere to be found. 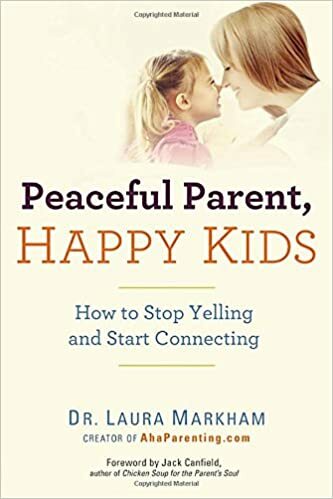 One book caught my attention Peaceful Parent, Happy Kids. It had been on my amazon list of reading, but not on the scribbled sticky I had brought along with me. I went ahead and grabbed it before heading on to pick up my werewolf trash. While the kiddo enjoyed his little bit of nursery rhyme time of my phone I picked up the new book and read the first few pages and realized the fates had intervened. Reading just the first few pages my soul was singing. This book was exactly what I needed in this moment and the fates had intervened with my book list letting me know that this book was the one I needed at the moment. Even the husband picked it up, took a look and showed some interest. A frustrating trip to the bookstore turned out to be a perfectly planned trip. The Fates know what we need and send it when we need it.